TDmonthly Magazine Products by RANDOM HOUSE INC.
Products from RANDOM HOUSE INC. This book about loss follows beloved cat Tiger Rose as she says goodbye to her family and favorite things for the last time. Written by prolific children's author Jane Yolen and illustrated by Jim LaMarche. 32 pages. Launch date: May 24, 2011. This classic from Dr. Seuss takes children on a rhyming adventure through riddles and puns. Hardcover, 63 pages. A Dr. Seuss classic from 1971, “The Lorax” is a brightly illustrated book filled with lyric verse about a timely theme. The Lorax is a strange creature that watches over a forest filled with marvelous trees. As the forest is cut down to make things for the growing community, the trees and the habitats of the various creatures that live there disappear until there’s almost nothing left. Dr. Seuss’s simple, clever and powerful message about environmentalism will stick with young readers. — “The Dr. Seuss always sells out,” said Elizabeth Ryan, owner of Tales & Toys in Venice, Calif.
— “Dr. Seuss is always popular,” agreed Pat Cooley, owner of Cooleykatz Toys in Livermore, Calif., in November 2008. Third in the popular “Inheritance” series by Christopher Paolini, which begins with “Eragon,” “Brisingr” continues to chronicle the dragon rider Eragon’s journey and training as he undertakes a heroic quest to help rescue his cousin’s betrothed. Roran and Eragon undergo primarily separate journeys, having to face many tests and overcome great odds. The story is themed in the classic high-fantasy genre, filled with magic, dragons, elves, dwarves, and sword fighting, as well as the value of friendship, family and courage. Launch date: September 20, 2008. — “The new Christopher Paolini book, “Brisingr.” [We sell] over 100 per month,” said Jessica Wood, buyer for Northshire Bookstore in Manchester Center, Vt.
— Two of 52 retailers named “Brisingr” as a best seller in November 2008. Flying Dolphin Press - The Alphabet from A to Y With Bonus Letter Z! Writer, actor and performer Steve Martin teams up with cartoonist Roz Chast to introduce this laugh-inducing introduction to the alphabet for young children. In twenty-six alliterative couplets, accompanied by hilarious cartoons, Martin and Chast introduce readers to Horace the hare, whose hairdo hides hunchbacks, and Bad Baby Bubbleducks, who hides a framed picture of a beatnik holding balloons. Launch date: October 2007. The story follows a Chinese American family as they prepare for the Lunar New Year. Family members all help each other out dusting off the old year, hanging decorations and making dumplings. Then they all put on new clothes and celebrate with friends and family eating and watching fireworks, lion dancers, the parade and more. The book is full of bright, colorful illustrations and includes a surprise foldout page at the end of the story. The story is tailor-made for reading aloud. Launch date: January 2008. Ma! There's Nothing to Do Here! Barbara Park, author of the Junie B. Jones series as well as many other humorous books, writes this rhyming tale from the point of view of a baby not yet born. "Ma! There’s Nothing to Do Here!" is a fun, silly look at what a baby’s life might be while it’s waiting to “come out and play.” It's ilustrated by Viviana Garofoli. 40 pages, hardback. Publication date: late January 2008. It’s 1875 and Bird Mallon lives on Water Street in Brooklyn where you can see the huge towers of the bridge to Manhattan being built. Bird wants to be brave to help her brother and sister, and wishes a girl would move in close by. But Thomas Neary and his Pop move in upstairs. Thomas, who has a secret that only Bird suspects, turns out to be the best friend Bird could ever have. 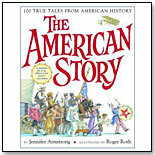 This book received the 2007 Oppenheim Toy Portfolio Platinum Award. Launch date: September 12, 2006. Eighteen things in this book begin with the letter “A,” 19 start with “H,” and there are 37 ways of counting “S.” As children search for these, they’ll discover dazzling worlds where poodles paint and unicorns wear underwear. This book is written and illustrated by John Nickle, and received the 2007 Oppenheim Toy Portfolio Platinum Award. Launch date: September 12, 2006. Parents can narrate with this interactive book that helps them interact with babies as young as two months. Big close-up photographs of real babies and their parents illustrate all the things babies do – smiling, waving, feeding, hugging, splashing, and peeking. It received the 2007 Oppenheim Toy Portfolio Platinum Award. Launch date: October 10, 2006. In the dense, unnerving Black Hole, Charles Burns combines realism and surrealism all in one style of narrative and artwok. The setting is Seattle during the early ´70s. A sexually transmitted disease, the "bug," is spreading among teenagers. Those who get it develop bizarre mutations of various and sundry sorts. The most visibly deformed victims end up living as homeless campers in the woods, venturing into the streets only when they have to, shunned by normal society. The story follows two teens, Keith and Chris, as they get the bug. Their dreams and hallucinations are a key part of the tale. Not for the faint of heart. Originally published to wide critical acclaim in France, where it elicited comparisons to Art Spiegelman´s Maus, Persepolis is Marjane Satrapi´s wise, funny, and heartbreaking memoir of growing up in Iran during the Islamic Revolution. In powerful black-and-white comic strip images, Satrapi tells the story of her life in Tehran from ages six to fourteen, years that saw the overthrow of the Shah´s regime, the triumph of the Islamic Revolution, and the devastating effects of war with Iraq. The intelligent and outspoken only child of committed Marxists and the great-granddaughter of one of Iran´s last emperors, Marjane bears witness to a childhood uniquely entwined with the history of her country. Available in October, Marjane Satrapi both wrote and illustrated the novel.